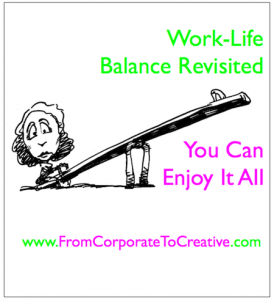 For the newly self-employed, work-life balance can be hard to achieve. Our business requires so much time and we have so much to learn that it can be hard to carve out time to spend with our loved ones or take time to relax. While it is convenient to be able to work any time, anywhere, we need to learn to manage our days so that we are optimally productive when we work and focused on our joy when we choose to relax. Kelly Galea, host of the “From Corporate to Creative” radio show interviews Dr. Susan Giurleo. We discuss how to mindfully plan your work-life integration so that you have long stretches to do the work you must do and have time to relax, spend with your family and enjoy all aspects of your life. We also discuss the Lifestyle Business Planning Concept, the three time buckets you must have each day and the mind science behind optimal focus and productivity so work is productive and your time off is truly refreshing. 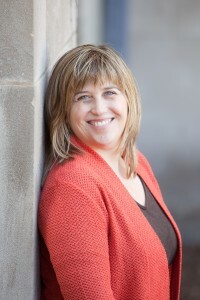 Susan Giurleo is a licensed psychologist, and business coach who helps people build businesses that allow them to do their true work while living their best life.. She supports professionals in building small businesses that allow them to do the work they love, while spending time with the people they love. She has built two profitable businesses over the past 8 years, Child Development Partners and Susan Giurleo Communication, that support her financially and allow her a work-life balance that integrates he roles as a mom, a wife, and business owner. She has an affinity for all things chocolate and coffee and spends much of her free time on the sidelines watching her 9 year old son play his heart out in many sports. You can read more about her work on her website: www.DrSusanGiurleo.com. Self-employment can mean freedom from rigid schedules, time pressure and work stress. A little planning goes a long way when you plan your business to fit your ideal life. Listen to this episode to learn how you can enjoy it all!